Between March 10-12, 2016, top provincial rugby teams from all over Canada landed on British Colombian soil. They’ve gathered in Burnaby to face off against each other while vying for the championship title during the first-ever National U18 Rugby Sevens Tournament and the National University Sevens Tournament. Rugby Canada’s mission is to keep Canadian rugby competitive at the highest levels domestically and internationally. They do so by organizing rugby events all over Canada and putting its provincial teams front and centre in competitions abroad. Last year was a particularly busy one for the organization, hugely due to the success of the 2015 Rugby World Cup. They also went on to host six women’s events, three international ones, and six more for the men’s teams. This time around, things are unfolding a bit differently with events happening earlier on in the year. Most recently, Rugby Canada hosted two international men’s games in Victoria for the American Rugby Championship. As for March, among the competitions they have lined up is the Canada Sevens series. Welcoming close to 20,000 rugby supporters, the Canadian Rugby 7s is a landmark sporting event held by Rugby Canada. 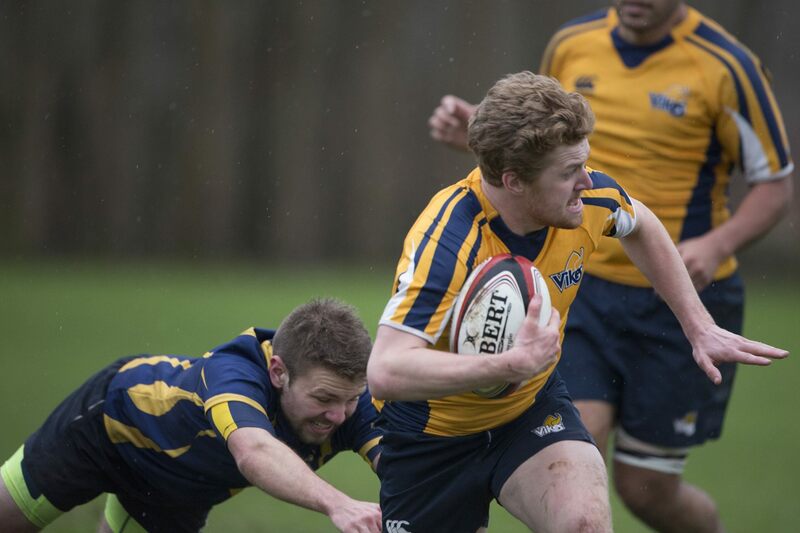 During this event, all provincial rugby 7s teams come to Burnaby, BC to compete and accumulate points with the ultimate goal of being crowned champions at the end of the tournament. For Rugby Canada, this also means figuring out how to get their players to the field and in front of all these spectators. Having played rugby for most of his life, Paul-Henri van Thiel is both a prime example of living out a passion and a wealth of information. After doing two internships, running international events, and travelling across the country for Rugby Canada during the summer, Paul had his heart set. Soon thereafter, he transitioned into a full-time position as Coordinator of Events and Competitions. Paul explained to us how they previously coordinated transportation for their provincial teams – a troublesome and time consuming process. In the past, the way they’ve typically gone about it is by calling different charter bus companies, bouncing quotes, and essentially sorting through all this information by themselves. That is until we got in touch, and Rugby Canada decided to take the opportunity and give Bus.com a try. Once Paul sent us all the logistical information required to organize a bus trip, like departure and arrival times, pick-up locations, and schedule details, the rest was up to us. With the help of our partnerships and logistics teams, Bus.com was able to reach out to different bus suppliers and find one that’s best suited for Rugby Canada based on their needs. Together, we devised a personalized and flexible enough travel plan that would accommodate players’ schedules. We helped them organize a shuttle system to take their players from airports to hotels, and then from hotels to the stadium. More specifically, they ended up renting two buses for a whole day for airport shuttles. And since the players stayed at two different hotels, we set up two additional buses to shuttle teams back and forth between their hotels and the playing field on game days. How was organizing buses made easier for Rugby Canada? Researching is where the bulk of the work lies. We helped them eschew this laborious step and instead handled all of the work that’s involved in finding, negotiating, verifying, and dealing with bus providers on their behalf. Gone are the days of extensive and confusing spreadsheets. Rugby Canada used our simple booking tool to keep track of all the information they need without having to fuss around with different documents. Best thing about our tool? They’ll be able to use it across North America for any of their future team trips! Since using Bus.com to book their buses, Rugby Canada left their organizational qualms behind. They rid themselves of the headache and hassle of shopping around for quotes and sifting through all that info on their own, which saved them both time and extra efforts. However, communication is not always the easiest of feats. A minor mishap occurred along the way causing a schedule mix-up on one of the rides back to the airport. Rather than letting the latter stifle ongoing travel plans, our logistics team was all hands on-deck and immediately worked with Rugby Canada to rectify the situation. Our job is to handle all communications with bus suppliers, acting on behalf of event organizers while having their best interests in mind – which is exactly what we did by sending in a replacement bus as quickly as possible. We’re currently working on technology that will improve the entire booking process and make the bus experience as smooth as possible for sports teams, event organizers, and passengers alike. Soon, you’ll know where all your buses are in live time, and whether they’re running late or arriving right on schedule. That way, stress won’t be part of your next bus trip!